[Editor’s note] This post was originally published in February 2019. It has been updated and republished in March 2019. Our beliefs behind nature vs. nurture have always been a subject for debate. For generations we were taught that the genetic traits our parents have (along with the health concerns they face) would undoubtedly be passed along and inherited by our children. But the science of epigenetics today is shaping our understanding that our genetics are, in fact, controlled by environmental factors. This field of genetics shows that environmental stimuli have the ability to turn genes off and on and therefore cause variations or genetic adaptation. Both genetic and epigenetic expressions are important factors in our health. While genetic polymorphism is a change in our DNA sequence which occurs before we are born, epigenetic adaptation happens following birth. This modification is the result of the influences of the environmental factors we are exposed to. An example of genetic polymorphism is evident in the case of individuals with a third chromosome at chromosome 21 (as opposed to two chromosomes). Also known as trisomy 21, this genetic abnormality occurs during development and before birth. In the case of epigenetic adaptation, the DNA sequence does not contain a specific genetic abnormality, however the code is translated differently with undesired consequences. This understanding of epigenetics dramatically impacts our understanding of chronic disease. The fate of our bodies is not held captive in the DNA inherited from mom and dad. Instead, we have the ability to reduce our risk of developing health complications by choosing to maintain healthy lifestyle habits. 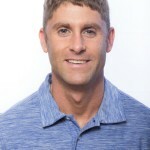 You can improve your health today by reducing stress levels, getting adequate amounts of rest, avoiding toxins, using detoxification techniques, eating quality foods, and maintaining positive relationships. 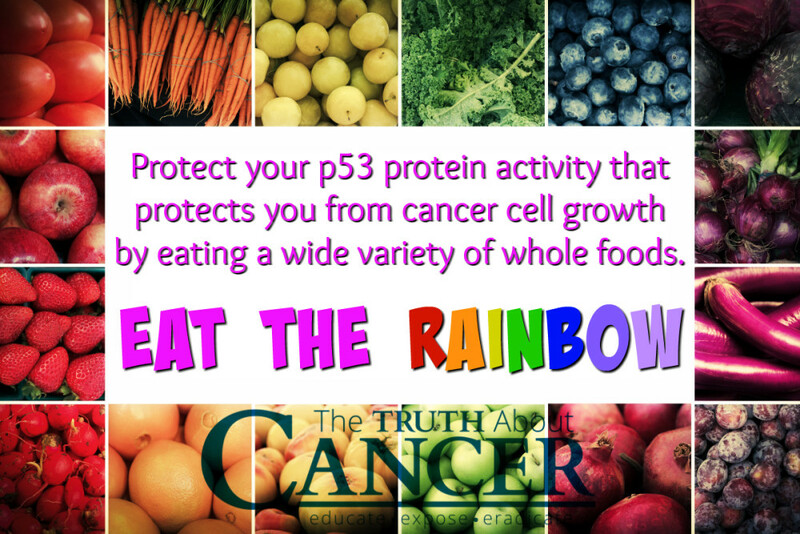 P53 is a genetic protein critical in ensuring cancerous cells do not grow. 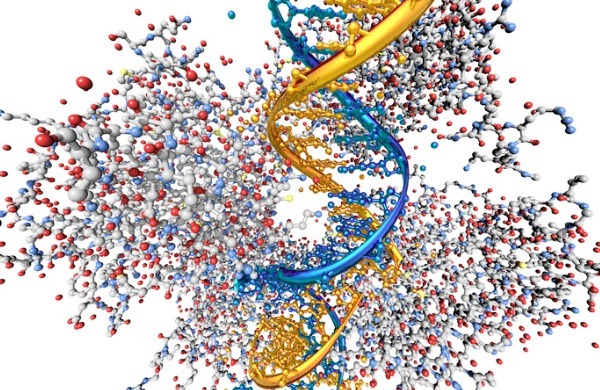 Acting similar to a bodyguard for DNA, p53 is a checkpoint. The cell cycle comes to a halt when the p53 gene senses abnormalities in the cell cycle and activates the p21 gene. P21 stops the cell cycle by inhibiting a protein which stimulates cell division. If the DNA is capable of repair, the p53 gene allows cellular division to continue occurring, ensuring the proper genetic expression. Otherwise, the cell is signaled for apoptosis or cellular death. P53 is responsible for regulating hundreds of genes in the human body. P53 is influenced by environmental stressors which cause oxidative stress. Oxidative stress leads to an increase in free radicals and weakens the ability of antioxidants to act. When oxidative stressors are low, the p53 gene is capable of acting like an antioxidant, ensuring a cell’s survival. As previously mentioned, the p53 gene is also responsible for initiating cell death and as a result increases oxidative stress to create cellular destruction. A major cause in the development of cancer is a result of chronic oxidative stress. Epigenetic mutations arise when the p53 gene becomes damaged and genes no longer have the ability to inhibit cancerous cells from dividing. In fact, epigenetic adaptations can result in the production of a mutated p53 gene. This form of p53 is shown to increase the cellular growth of invasive cancers. The p53 gene can become damaged by long-term periods of oxidative stress and will lose the ability to protect a cell’s DNA. Some metals, such as zinc, are critical for stimulating p53 activity. Unfortunately, an imbalance between zinc and copper can lead to the p53 gene becoming unfolded and rendered inactive. The imbalance of a high copper concentration and low zinc concentration are not the only culprit to blame for damaging the p53 protein. Cadmium, aluminum, mercury, and lead are examples of other heavy metals which are toxic to p53 gene activity. Antioxidants protect the body from oxidative stress. Many potent antioxidants can be found as natural compounds in healthy food sources. Protecting the p53 gene from becoming damaged is necessary to reduce your risk of developing cancer. [Editor’s Note] Dr. Shin Akiyama graduated from Sapporo Medical University School of Medicine in 1989 and was trained as a specialist in chemotherapy. He has been treating cancer patients for 30 years. About 10 years ago, Dr. Akiyama started practicing immunotherapy. Six years ago, he started practicing cancer gene therapy. According to Dr. Akiyama, the number one cause of cancer in Japanese men is gastric cancer, while in Japanese women, it is breast cancer. Liposomes are spherical vesicles made up of liquid completely enclosed by a double layer of fatty membranes. Liposomes can be used to contain and administer nutrients and therapies such as liposomal p53. Dr. Akiyama and his colleagues enclose or “wrap” normal, non-mutated p53 plus amino acids into liposomes, then administer these liposomes intravenously (IV). Liposomes are positively charged, and are attracted to cancer cells because cancer cells are negatively charged. In this way the liposomes deliver intact, non-mutated p53 genes to cancer cells, which then induces apoptosis or programmed cell death, killing the cancer cells. According to Dr. Akiyama, liposomal p53 gene therapy can be used to successfully target most of the solid cancers (not blood cancers) such as brain cancer, lung cancer, breast cancer, liver cancer, pancreatic cancer, and bladder cancer. 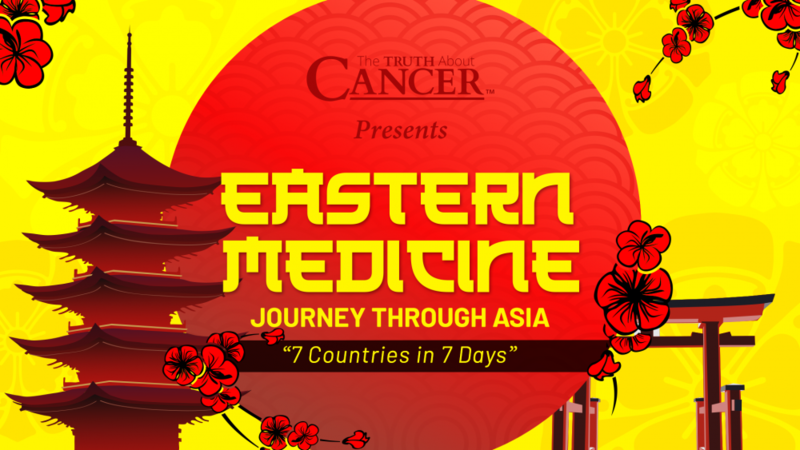 Tune into our upcoming Eastern Medicine: Journey Through ASIA series to learn more! Epigenetic factors are clearly responsible for increasing your risk of developing fatal cancers. While the genetics you inherited from your parents do play a role in health, the influence from epigenetic factors is one of the greatest factors which can both help or harm your p53 genes. Strengthen your p53 gene activity by reducing your exposure to toxins and choosing healthy lifestyle habits. Consuming a diet rich in antioxidants will help your p53 genes function optimally and prevent abnormal cells from both growing and dividing. Each day you have a choice to choose habits which will feed cancer or prevent it. Which do you choose? SAVE THE DATE! Eastern Medicine: Journey Through ASIA airs on April 3, 2019. Watch the FREE 7-part documentary. The science of epigenetics is shaping our understanding that our genetics are, in fact, controlled by environmental factors. We have the ability to reduce our risk of developing health issues and diseases by choosing to maintain healthy lifestyle habits. P53 is a genetic protein critical in ensuring cancerous cells do not grow. P53 is damaged by toxins in our environment, including: herbicides & pesticides, chlorine, fluoride, and radiation. Epigenetic modifications of human disease. p53 and regulation of DNA damage recognition during nucleotide excision repair. Microarray analysis of p53-mediated transcription: multi-thousand piece puzzle or invitation to collective thinking. Oxidative stress and p53 mutations in the carcinogenesis of iron overload-associated hepatocellular carcinoma. Cadmium toxicity is caused by accumulation of p53 through the down-regulation of Ube2d family genes in vitro and in vivo. Organophosphorous pesticides and estrogen induce transformation of breast cells affecting p53 and c-Ha-ras genes. The involvement of p53 in paraquat-induced apoptosis in human lung epithelial-like cells. The effect of heptachlor, a chlorinated hydrocarbon insecticide, on p53 tumor suppressor in human lymphocytes. I’ve been following your blog and watching your videos for the past couple of years. It helped my 62-year old husband who recently passed away after fighting stage IV lung cancer for 2-1/2 years, non-smoker. We found out when he was diagnosed at age 60 that he had received a radiation treatment in 1953 at the age of one month for an enlarged thymus. Could his genes have mutated and been passed on to his children? I’m asking my four children to get a 23andme gene analysis. Do you think that is a good idea? Liked the phrase ‘ we have a name that God knows us by ‘ ?? Thanks a lot for interesting sience writings about the p53. I already have writings in my on lexica about p53, but here i among other learne abot the mineal cinnection. During some years I read more 10,000 books sides a year, and own probly more than 300 doctor and health books, 40 about cancer, ans 15 about cholesterol, objects of which most are getting into the news, and when meeting a doctor. But again exelent information I here got. This is such a fantastic article. Thank you so much for furthering our education, It’s so important to be informed and ahead of the game when dealing with diseases. Now if the Pharmadocs who are killing people with drugs and destroying peoples Immune Siystems! God Bless You! If the Drs. would only catch up! Very interesting and informative information about a subject I knew nothing about. Thanks for the great article. The Article Summary on the P53 gene needs to include the food sources for the compounds that help the p53 gene. Thanks for your feedback! Our tech team has been making some adjustments but we are hearing that it is working for people. Can you perhaps try a different browser and see if that makes a difference for you? 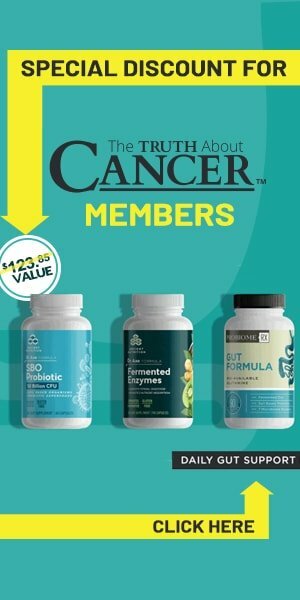 What if you’ve already been diagnosed with cancer. I’m already doing many of the ‘lifestyle and diet’ suggestions (i.e supplements, all the right foods, rest, detoxing, etc.). Is there anything else specific I can do to strengthen my P53 gene again or is it permanently damaged? Ditto to the q above by @jntmcd63Janet?? Also, is there a blood test to check on this gene P53??? Please advise. These are the types of questions that often in the past I have not been able to get answered on this website and gave up on following. Thank you, I will do so. I just think that in an article like this that so definitively states the P53 gene as being responsible for cancer, there would be a marker or blood test for the gene as there is for so many others these days. At the least that it would be a question asked for this information to be fully realized in opposition to what is purported every by the conventional medical field and media every day. Does anyone know if head and neck cancer is one of the “solid” cancers referred to in this article which can be released or addressed through activation of the P53 gene? What if you have Li Fraumini Syndrome ,Tp53 mutation? Does anything help? Diet ?